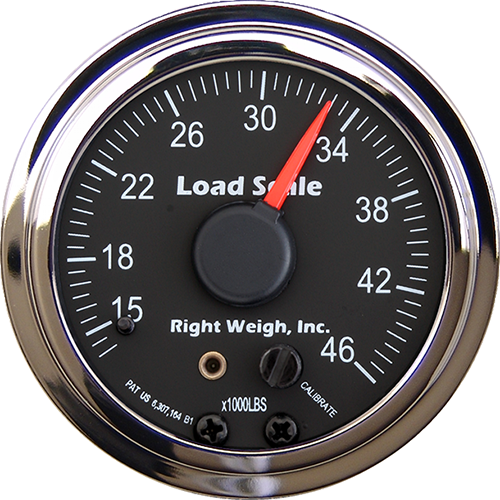 Our interior mechanical scales are designed for mounting in the truck dash panel, inside the cab. The gauge will fit any standard 2 1/16 inch gauge hole. This scale can monitor air suspension single or tandem axle groups monitored by one height control valve, commonly a tractor’s tandem drives. 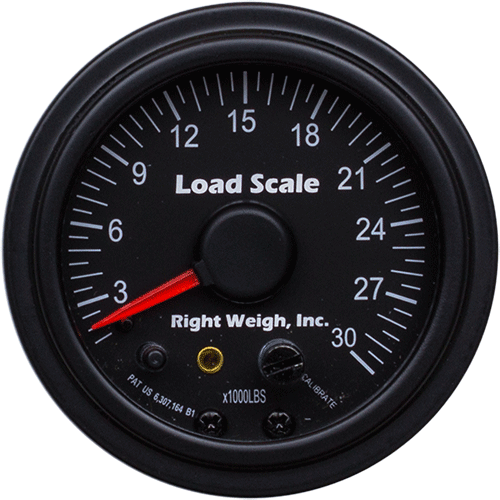 For dedicated tractor and trailer, a second interior load scale can be used to determine the weight of the trailer tandems using a quick connect between the tractor and trailer. For a drive axle with two height control valves, a supplementary valve called the dual height control valve is necessary for connection. Each interior dash scale comes with a 7-color LED black light.